On December 18, Benjamin Lawsky, superintendent of the New York State Department of Financial Services (NYDFS), announced revisions to the proposed special banking license – known as BitLicense – that his department introduced in the summer to regulate cryptocurrency. In a speech at a Bipartisan Policy Center event in Washington, Lawsky said that startups dealing with digital currency could receive a two-year partial waiver from complying with the full set of regulations to help them continue their business, reported Reuters. The time frame for record-keeping requirements would be dropped to seven years from 10 in the initial proposal. Reuters also reported that Lawsky said businesses applying for a license could count digital currencies toward their capital requirements. For the second round of the proposed regulations, Lawsky wanted to clarify some things, reported The Hill. Software developers, companies managing customer reward programs or gift cards, and individuals using digital currency will not be required to obtain a license. “Additionally, we are making clear that merchants who accept virtual currencies as payment for goods and services – and their customers – will not be required to obtain a BitLicense, if that is the only virtual currency activity in which they engage,” stated Lawsky, as reported by The Hill. Licensees will still have to comply with anti-money laundering rules in existing law, which would curb digital currency’s appeal as a means for illicit finance, said Lawsky, as reported by Bloomberg. The NYDFS dropped a rule that would have required businesses to attain addresses for all parties to a transaction. Now, they will have to do so just for account holders. “We believe that these proposed changes are sensible and help us strike an appropriate balance between permitting innovation to proceed, while at the same time strongly protecting consumers and helping root out illicit activity,” Lawsky said, as reported by Bloomberg. CNBC reported that the revised rules will be subject to a 30-day comment period. 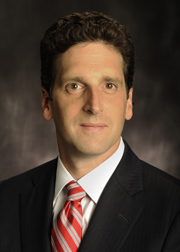 Lawsky said the final regulatory framework should be established by early 2015, and that his department hopes to have several licensed exchanges and firms in New York shortly thereafter.